For two decades pyanse, a steam pie stuffed with cabbage and meat, has been considered a signature fast food favorite in Vladivostok. Pyanse, a type of Korean steamed pie, is sold from box-shaped thermoses by women wearing light green aprons. The shade of their aprons is similar to traffic police vests, which is why the latter are jokingly nicknamed “pyanse men.” The yummiest pyanse spots in Vladivostok are located near shopping malls and in the streets of the historic center. In the early 1990s pyanse took over Vladivostok. Pyanse has replaced the legendary Vladivostok fast food of the Soviet era — pies with whale meat and cheburek pastries stuffed with fish. Pyanse differs from hot dogs, hamburgers, belyashy (deep-fried cakes made of yeast dough and filled with minced meat) and chebureky (deep-fried turnovers filled with ground or minced meat and onions) not only in terms of spice, but also in the fact that pyanse is steamed, not fried, making it easier on the stomach. Pyanse (a Russian version of an ancient Korean dish) was invented in the early 1980s by ethnic Koreans living on Sakhalin Island. 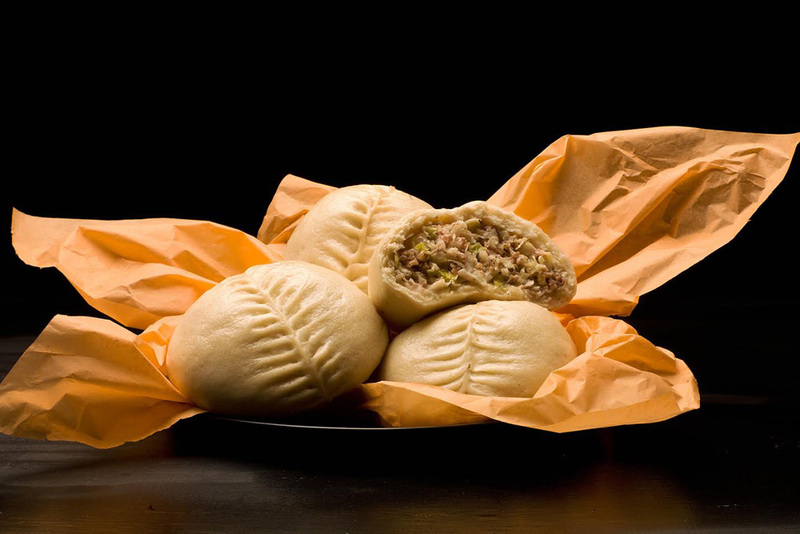 Spicy, steaming pyanse is a distant relative of the Russian pirozhki (individual-sized baked or fried buns stuffed with a variety of fillings), kulebyakas (Russian savory pies) and Siberian dumplings filled with meat. Vladivostok’s pyanse recipe calls for lots of cabbage and some meat and spices. This recipe is considered a classic, but restless culinary experimenters regularly come up with new variations. Two years ago a group of young businesspeople brought pyanse to Russia’s capital in an attempt to conquer Moscow’s fast food market. It was the first time that a regional dish came to the capital – usually trendy city food travels outwards from Moscow to the different regions of Russia and not the other way around. There are 10 spots selling four different kinds of pyanse in central Moscow and you can occasionally find pyanse at the city’s food festivals. This Far Eastern dish is more expensive in the capital than it is in its homeland: It costs 200 rubles (about $3) in Moscow versus 60 rubles (slightly less than $1) in Vladivostok. However, in Moscow pyanse comes in a variety of forms: With salmon, Korean kimchi and vegetarian.